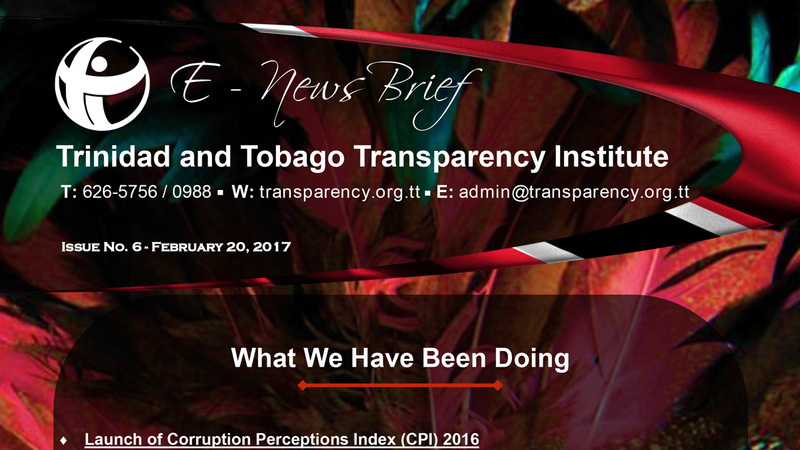 On January 25, 2017, TTTI launched the CPI at the Arthur Lok Jack Graduate School of Businness Mt Hope. Nigel Romano, CEO and Managing Director of JMMB delivered an outstanding keynote address entitled: Changing the Perception begins with us. 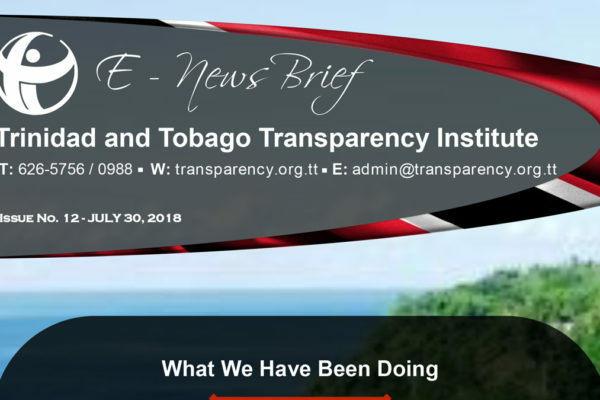 Transparency International’s Managing Director, Lucas Olo Fernandes joined via webcast and presented on the CPI Methodology while Dion Abdool presented the CPI Results which was followed by a lively and interactive panel discussion moderated by TTTI Director, Kamla Mungal. 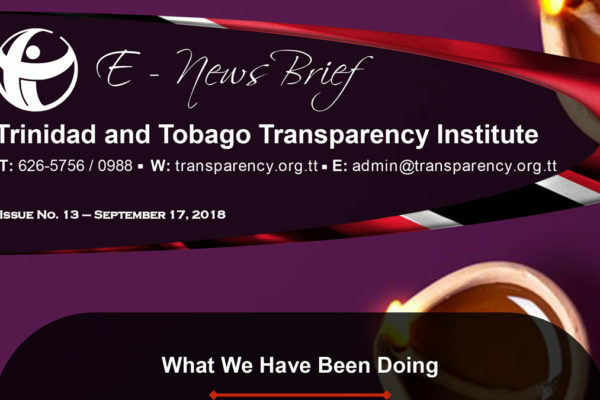 Commissioner, His Excellency Tim Stew; Marla Dukharan, Group Economist, Royal Bank of Canada; Winston Rudder, former Permanent Secretary and for- TTTI Chair, Dion Abdool presenting the CPI Results mer TTTI Director; and Dion Abdool, TTTI Chair. 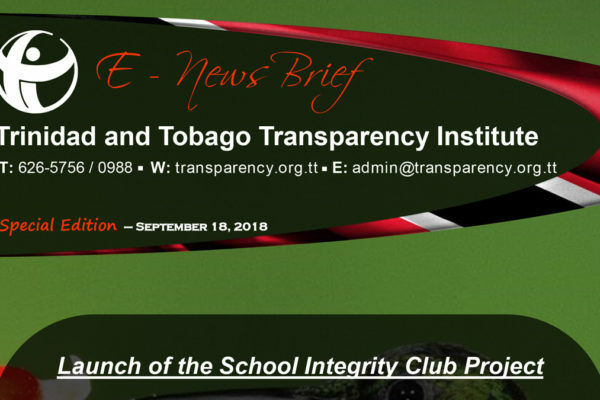 Click here to view newspaper articles from the CPI.